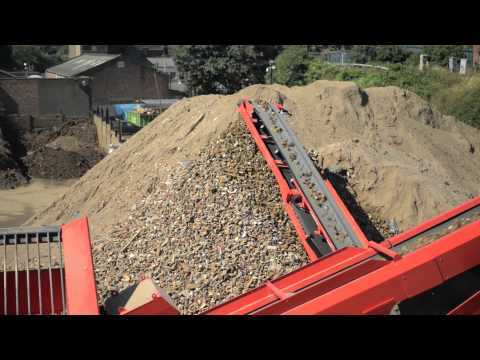 The Precisionscreen Roadmasta is a fully contained screening and crushing machine. 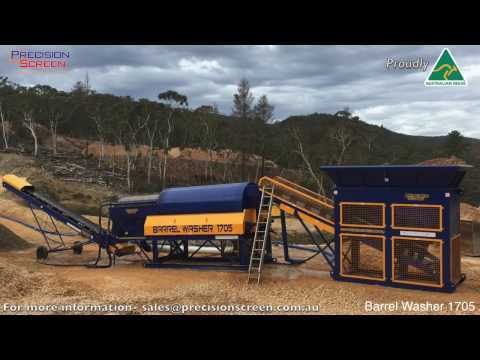 An all-in-one wash plant boasting all components required for sand processing is the latest addition to Precisionscreen’s washing plant range. 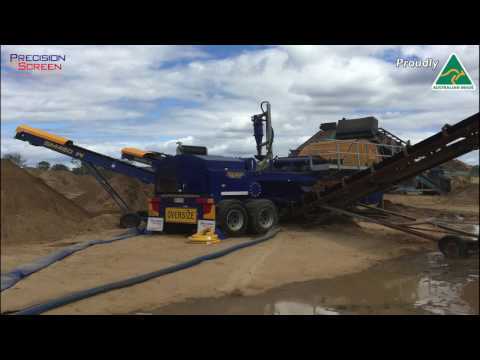 The Precisionscreen Scorpion pugmill is a versatile machine that can work with various applications for mixing. 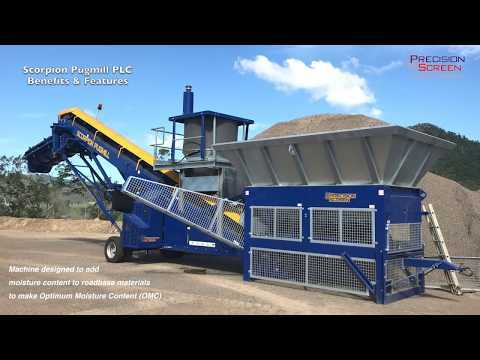 Precisionscreen are leaders in the design and manufacture of dry screening, washing, crushing and recycling equipment for the quarry, mining, extractive, materials handling and recycling industries. 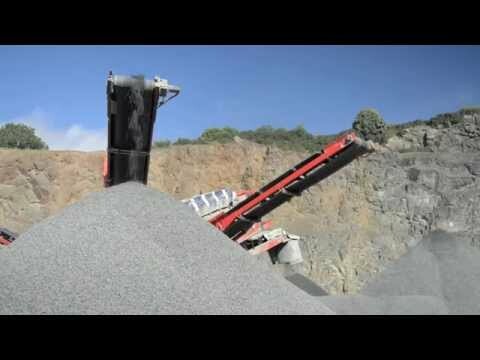 Additionally, Precisionscreen are Australian Distributers for Sandvik's range of mobile crushers and screens. 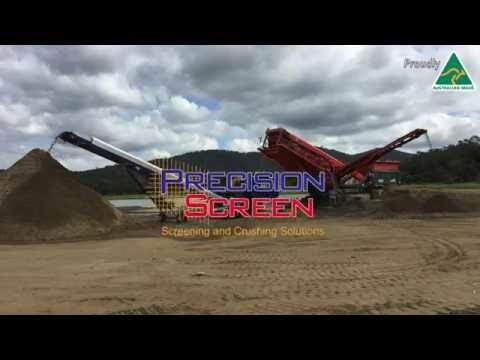 Precisionscreen was established in 1986, in Brisbane Australia, by Harold Kerr and has grown from a small family company, employing just two employees, to an international company which now employs more than 50 personnel who design, research, test, manufacture, market, sell and provide after sales support for the innovative range of Precisionscreen products. Prior to establishing Precisionscreen, Harold Kerr worked as an international trouble-shooter for a world leading screening company, and was known internationally for his innovative design and ability to “think outside the square”. 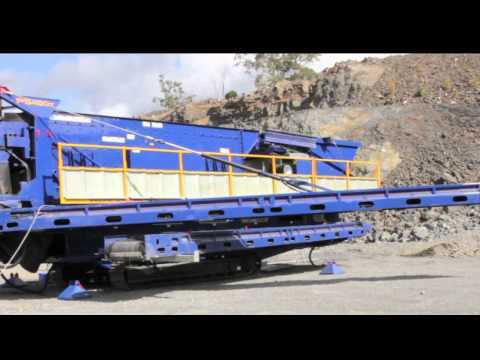 Harold’s first design, the screening plant The Scout, was a market leader for more than 10 years. 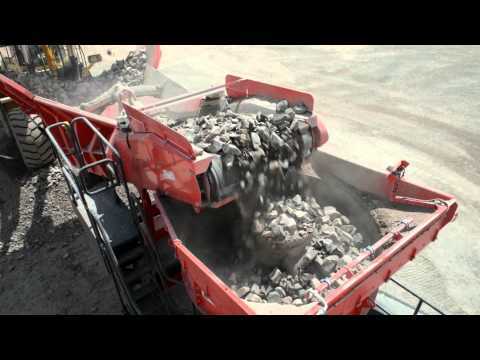 Today Precisionscreen manufactures more than 30 screening, washing and crushing plants and more than 50 additional ancillary products. 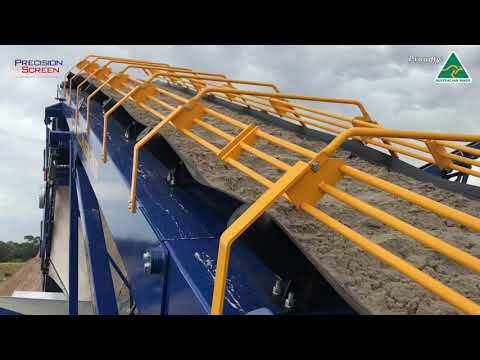 Precisionscreen manufactures the world renowned Scorpion screening plants, known for their reliability and efficiency: the Trackmasta 2153 with fly boom side conveyor technology and the Pitbull, the first track-mounted screening plant to feature 1400 wide belts on a turntable. 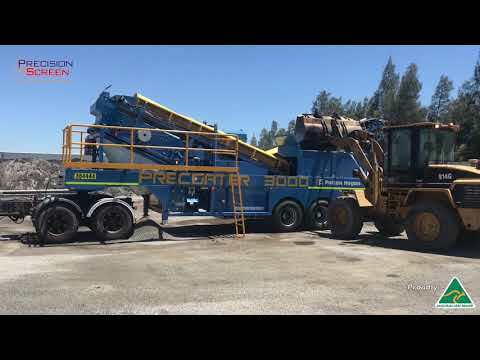 Precisionscreen equipment is found in more than 15 countries including the United States, Italy, the Philippines, Malaysia and Australia. 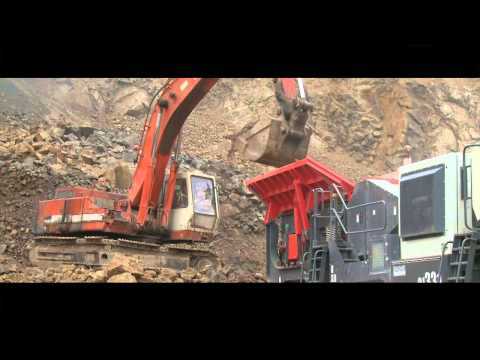 The innovative Precisionscreen products are found in the most diverse climates on earth, screening, crushing and washing a broad range of products. 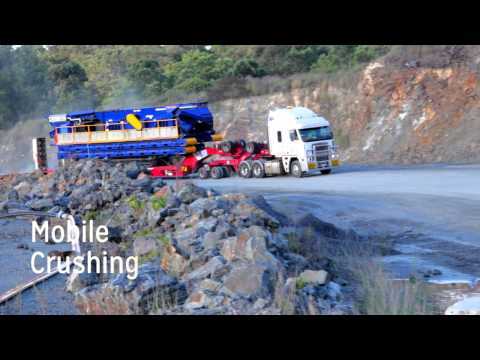 Today you will find Precisionscreen plants recycling Gypsum high in the Italian Alps; crushing road base in the jungles of Papua New Guinea and washing and screening sand in the harsh Australian outback. 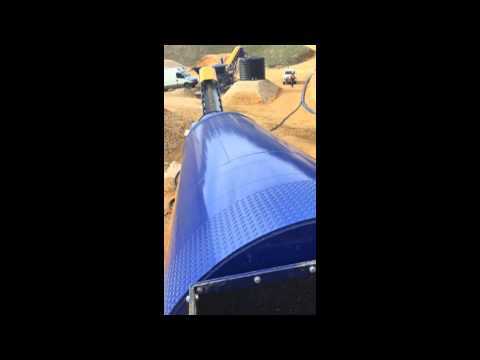 Precisionscreen prides itself on innovative design and it’s ability to meet the specific needs of a diverse range of clients. Being small enough to be able to customize to specific needs and large enough to enable cost effective products through international support. 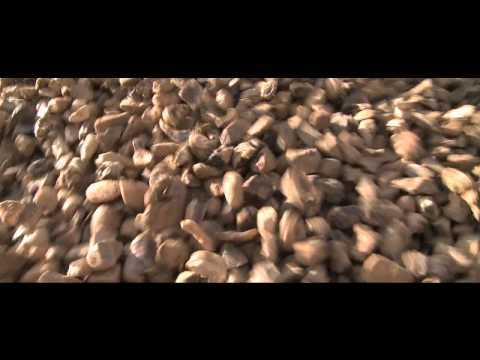 Precisionscreen continues to lead the way in research and development, with a commitment to developing innovative products. 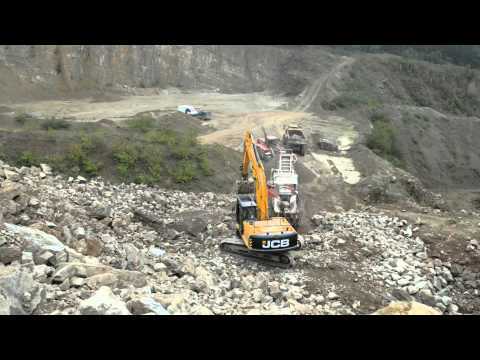 Precisionscreen opened a manufacturing and supply centre in Northern Ireland in 2010. The office has enabled Precisionscreen to cement their position as industry leaders and has enhanced international capabilities. Today Harold continues to drive Precisionscreen forward as managing director, while his son Paul manages the operations. 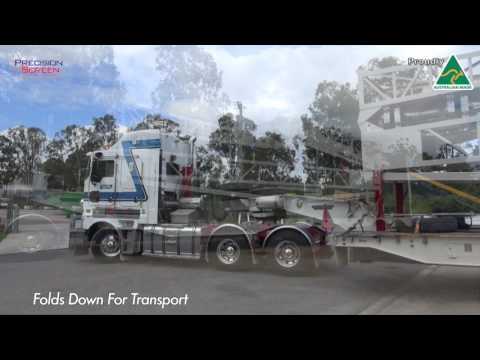 Backing them up is a committed international team of technical, administrative and sales staff, all driven by a commitment to providing high quality products with excellent after sales service. 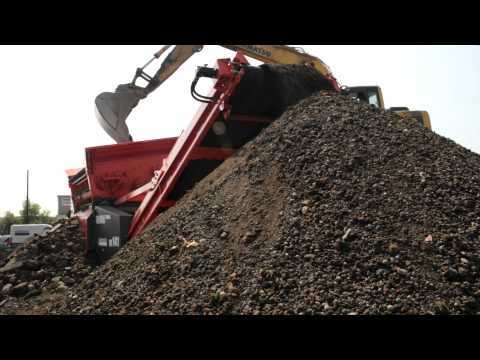 All of Precisionscreen machines sold come with a back up from the international after sale support team which can provide spare parts, service support and over the phone customer assistance, ensuring minimum down time for your operation. 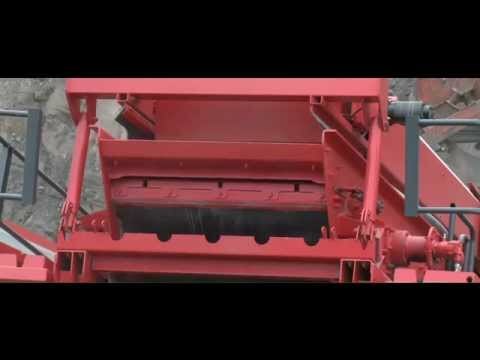 2011 will see world class new machine designs entering the market utilizing the latest technology advancements available, watch this space! 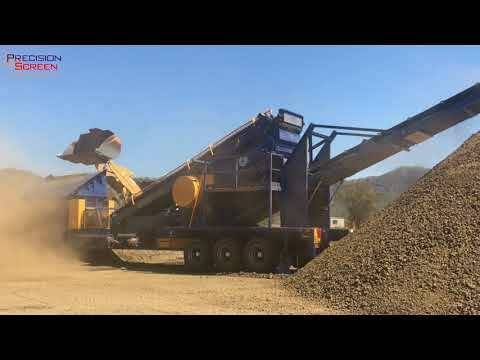 Precisionscreen are leaders in the design and manufacture of dry screening, washing, crushing and recycling equipment for the quarry, mining, extractive, materials handling and recycling industries. 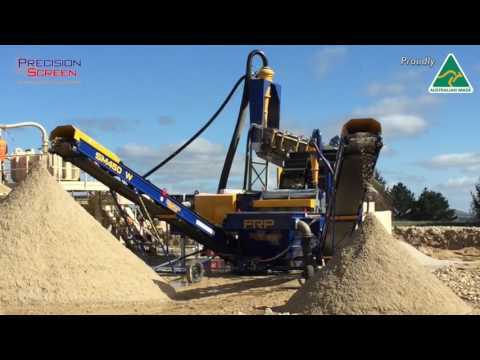 Precisionscreen are Australian dealers for Sandviks range of mobile crushers and screens. 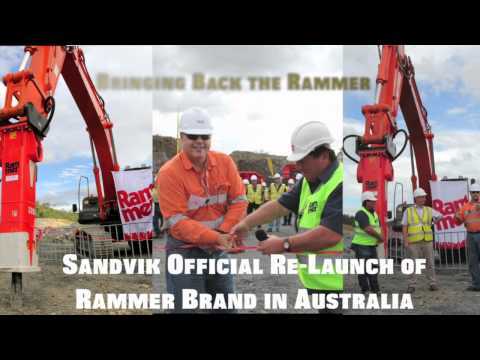 Furthermore, Precisionscreen are Queensland and Papua New Guinea dealers for Rammer - Breakers and attachments. 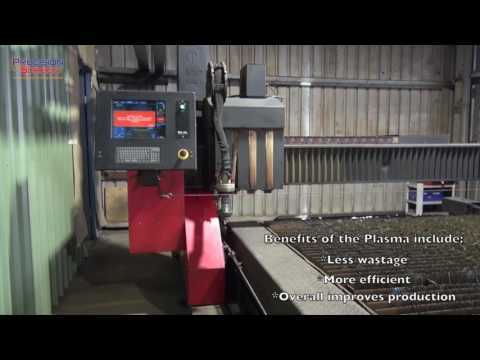 Precisionscreen is continually investing in new equipment to deliver better products and services. 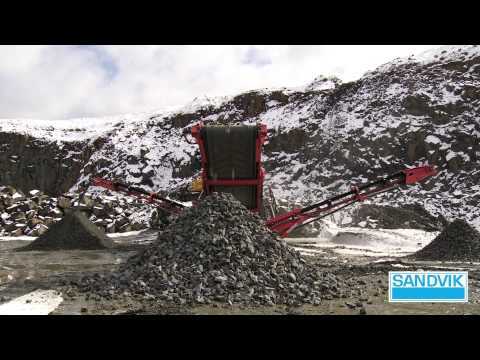 Sandvik QJ340 jaw crusher feeding a QH440 cone crusher into a QA440 20x5 two deck screen. 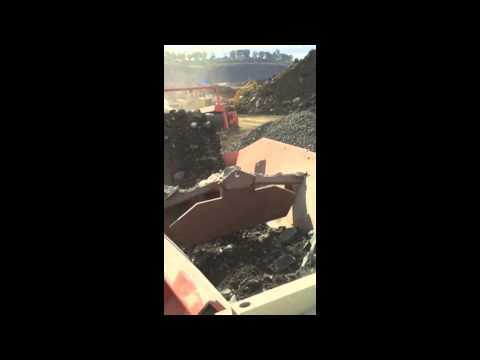 Making 40mm roadbase and drainage rock. 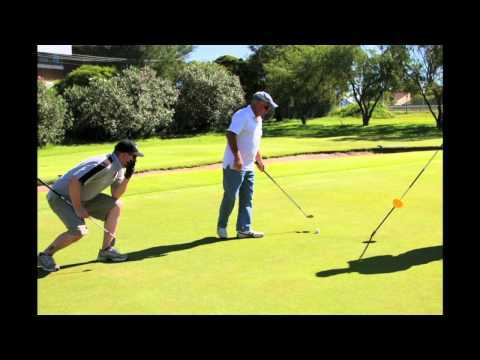 Precisionscreen sponsered hole 18 at the QLD Institute of Quarrying (IQA) golf day May 2012. 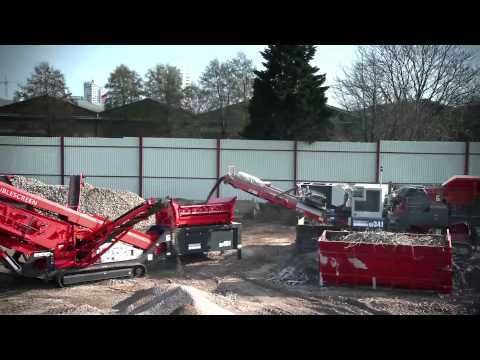 SANDVIK QE341 MOBILE SCALPER The Sandvik QE341 mobile scalper represents the most advanced and complete mobile scalper yet designed. 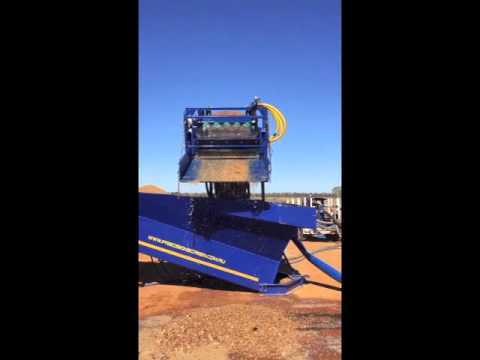 MOBILE IMPACT CRUSHERS Large Primary and Secondary Impactors with option of Hanging Screen. 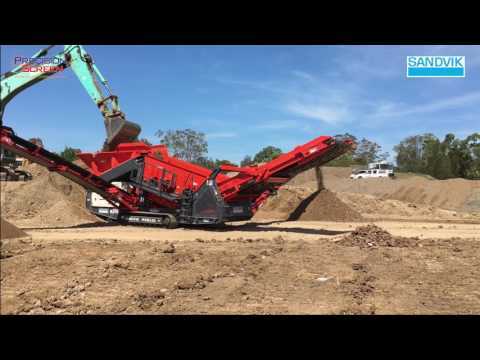 SANDVIK UJ640 JAW CRUSHER The Sandvik UJ640* tracked jaw crusher combines high levels of automation, mobility, flexibility of operation, rapid return on investment, with high quality material production.